Bluebird Patch Teens "SammyDress Back To School Fashion"
The first day of school is approaching, that means new teachers, new classes, and new back-to-school-fashion. Have you ever been online shopping and see this chic top that you wanted until you see the price and get totally deflated? Instead of getting frustrated because you cannot get what you want, check-out SammyDress a new cool website that I absolutely love! SammyDress offers you the very latest fashion trends at 70%-90% below retail store prices. At SammyDress, you can find lots of oversized sweaters, lace blouses, cool t-shirts, cropped jackets and the cutest dresses for back to school. Sizes run small, so when in doubt always order a bigger size. 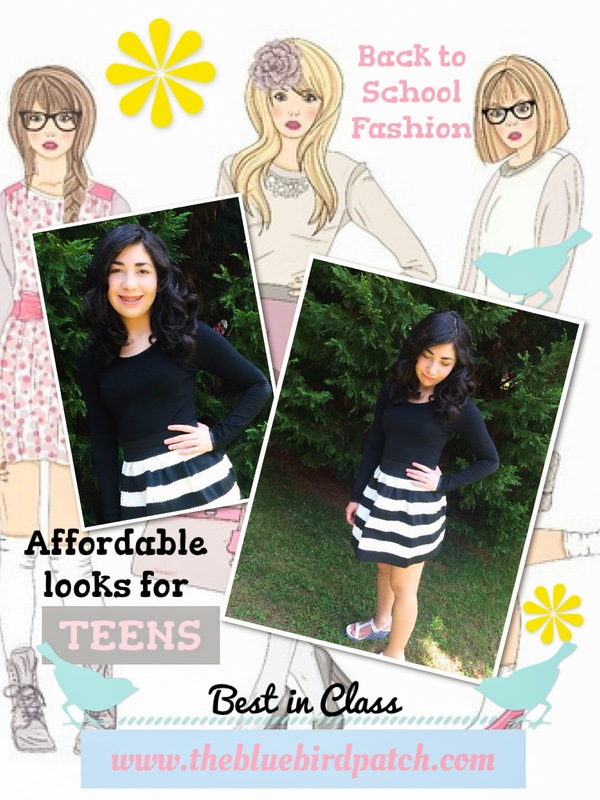 From the trendsetter, sporty, romantic, geek chic, or preppy girl, SammyDress has endless back to school styles to make you look cool and feel great. Here's a few of our favorite pieces!